7 pm – Live Auction with Jenny Donahue as auctioneer. Intermission will feature fabulous homemade desserts! Our annual auction is one of First Parish’s biggest fundraisers and a WHOLE LOT of FUN! DON’T MISS IT. Make it an evening for you and your family. (Child care will be available.) Start off with a glass of wine to sharpen your bidding skills. 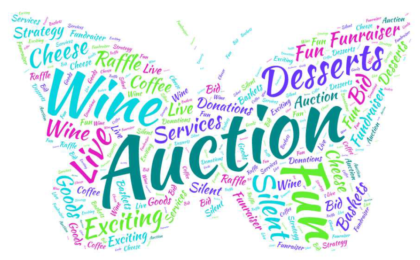 Browse the silent auction items and start a friendly bidding war. Then take a seat and let the live auction begin. There are wonderful things to eat, fun places to go, beautiful crafts, and useful services. Ah! The joy of winning! And if that wasn’t enough excitement, suddenly it’s intermission and time for fabulous desserts and coffee. Just when you think you can’t possibly have any more fun, the auctioneer is back on her feet with more exciting items for sale! Will you get back in the ring!? GO FOR IT – it’s a once-a-year opportunity to buy fun goods and services that keep on giving. A BIG WIN for you and First Parish at the same time.